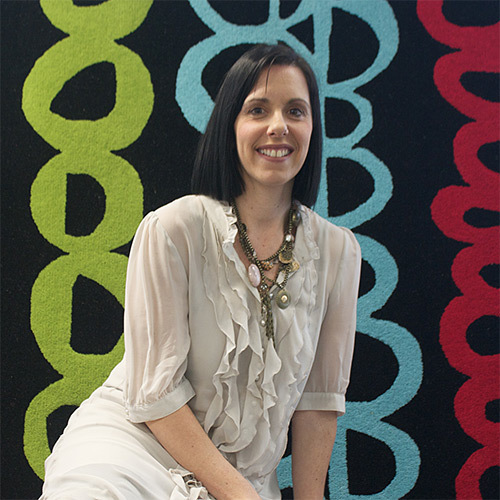 We talk to Emma Levitt (below), the creative force behind Emily Ziz Style Studio, whose bold prints & bright hued cushion covers are featured in today's sale event. What is the driving philosophy behind your brand and the designers you like to work with? We endeavour to introduce designs to the market which are beautiful, unique, bold and interesting, and will ultimately create a point of difference where ever and however they are used. Cushion designs have entered a new phase of creativity - do you have a favourite trend you can share with us? We are not focusing on a particular trend right now - our clients are enjoying the layering of pattern, colour and texture...mixing and not matching anything too obvious! Our clients help us create trends. So much of what we do can be customised that we often create new designs and colour stories, based on the briefs of our clients. What is your tip for getting a great creative mix of cushion designs on a sofa or bed? 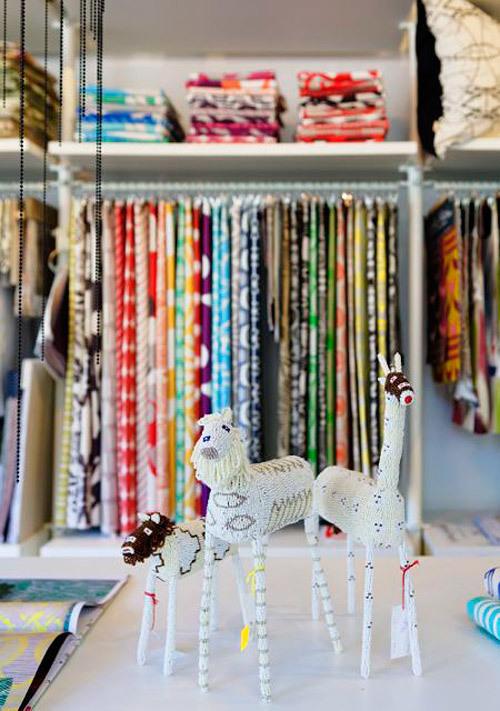 Don't be too influenced by trend and fads - go with your gut in terms of a style, pattern or colour that you like - you must love what you live with. 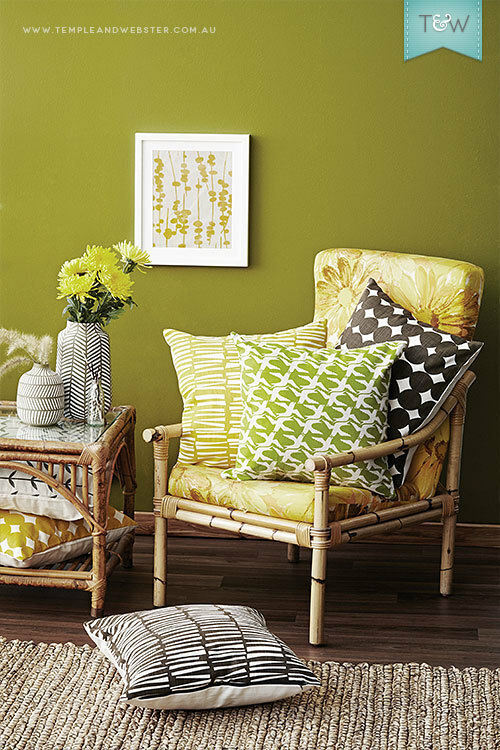 Once you have this as a starting point, mix up your cushion selection by not being to "matchy matchy" but still making sure that your choice connects through one common thread such as similar texture within the fabrics, patterns that interrelate, or colours that are tonally alike or complement one another. 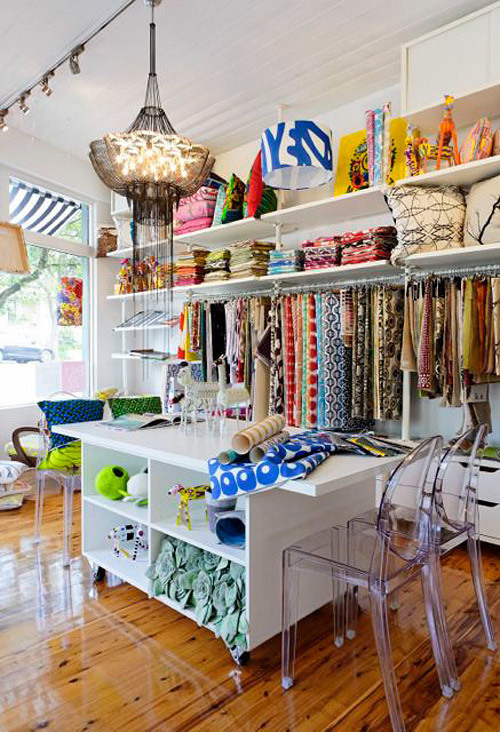 The Emily Ziz Style Studio showroom in Sydney's Paddington. What would you recommend to add some interest to a sunroom and a spare bedroom? We love playing with rooms that are not the main living areas of a home as it adds scope for being a bit daring where you can take risks that you might not ordinarily be brave enough for. In a spare room, bold patterned curtains/ blinds or wallpaper are an amazing way of elevating a space, and this could be further enhanced by using interesting lighting (bedside or reading lamps) that contrasts against the wallpaper. Or you could do something unexpected like wallpapering the ceiling instead of the more obvious feature wall. For a sunroom, feature natural bright colours (yellow, green or blue for example) that will bring the outdoors inside, automatically creating a fresh, happy environment. Do you have a favourite colour combination that you think works season in, season out? Blue and white is coming back as a trend however it was never out of fashion and is a classic combo that always looks good, regardless of the type of blue you use. On the warmer side we have always been drawn to pinks, reds and oranges jumbled up together for a rich and uplifting effect. For something more classic with a twist, use beautiful soft dove grey, indigo and pops of magenta. Top image by Natalie Hunfalvay, styled by Adam Powell using Murobond's Green Tea. Other images courtesy of Emily Ziz Style Studio. Inspired? Shop the Emily Ziz collection now.